_Green Clean ecological bike wash 1 litre Green Clean is the ultimate bike cleaner. The nozzle has two settings, a wider spray, and the water pistol 'squirt'. Green Clean's natural cleaning power and the ability to refill impresses environmentalists and cyclists alike. _Green Oil is the original award winning green chain lube. Green Oil is a 'wet lube', suitable for all riding conditions, rain or shine. The Ecologist Magazine's 'Pick of the Month', Green Oil is also winner of What Mountain Bike's Gold Award. Green Oil chain lube now comes in a 100% recycled plastic bottle, with brand new 'snap cap', making it easier to travel with. _Clean Chain is the revolutionary degreasing gel. Degrease your chain without removing it from the bike, using Clean Chain. 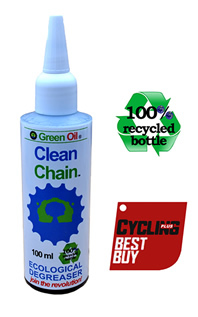 Clean Chain can also be used as a re-fill for Green Clean, the award winning 1 litre bike cleaner. Simply empty the 100ml bottle into an empty 1 litre Green Clean bottle, then top it up with water. Clean Chain won Cycling Plus Magazine's Best Buy Award. 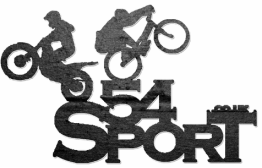 _The world's first fairly traded bike cleaning sponge. Made from the Luffa plant in the Philippines, so biodegradable after its bike cleaning life. Easy to rinse mud out of. Durable, lasting up to a year. Soak in water for first use to see it magically expand!